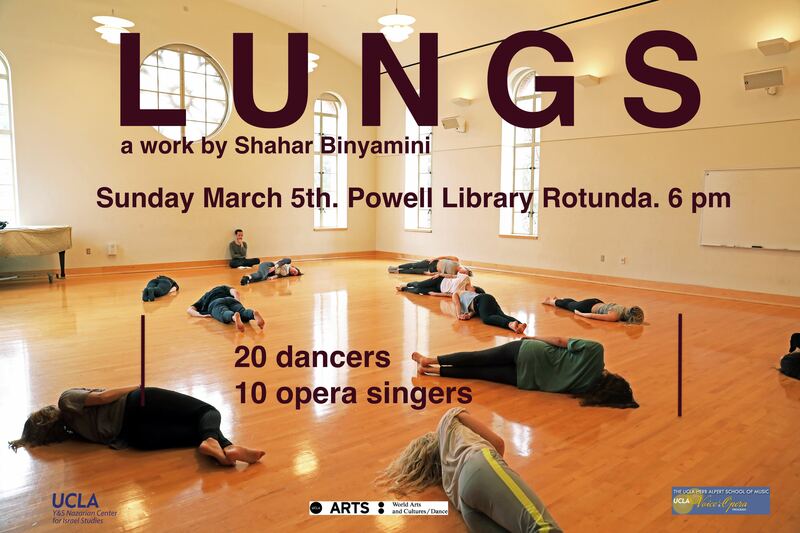 L U N G S is a performance for dancers and singers created by Shahar Binyamini. Come to see a unique collaboration between students of UCLA world arts and cultures/dance department and ucla Herb Alpert school of music. Thanks to Professor Peter Kazaras, Director of Opera UCLA, for making this experimental collaboration possible with student singers from the Voice and Opera Area in the Department of Music of the UCLA Herb Alpert School of Music. Rehearsal will be on Friday, 3/3, from 5-6 pm.